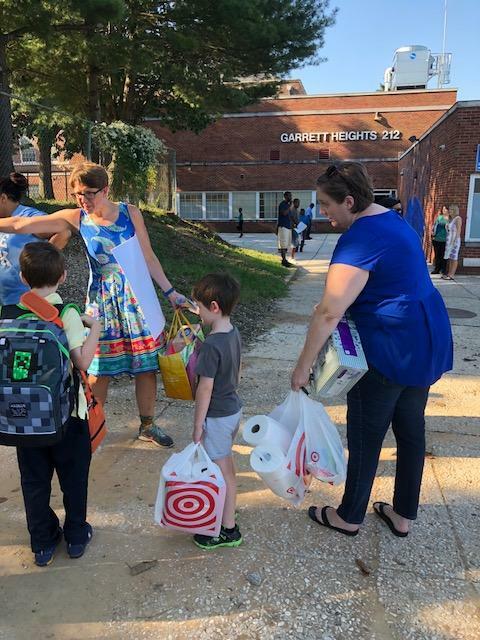 Tuesday’s 105-degree heat index kept 10 Baltimore County schools without air conditioning closed on the first day of the school year. In Baltimore City, more than 60 schools dismissed students early — some before noon — as a result of the heat. The lack of air conditioning is part of a larger political fight over school funding. Some Baltimore City public schools have lost thousands of dollars in federal funding because of changes to the school lunch program. City Council members are looking for ways to bridge the gap. Baltimore’s schools, already suffering from declining enrollments, will lose even more students next year. School officials gave the news to a city council committee Tuesday. Schools CEO Sonja Santelises told a committee looking into the school system’s enrollment task force that officials are projecting that 1500 students will leave the district in the 2018 to 2019 school year. She said the loss of students typically happens in 5th and 6th grades because parents are unsure of the middle school options available to them, but that trend has changed. At Monday night’s city council meeting President Jack Young introduced a resolution to hold a hearing with Baltimore City Public Schools on their enrollment task force. 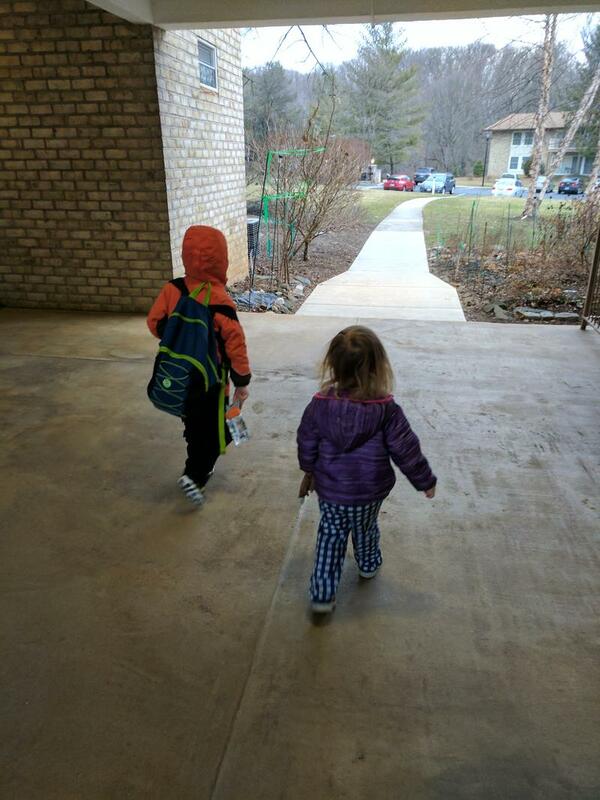 City school’s enrollment numbers have been declining faster than the city's population. WYPR’s City Hall Reporter Dominique Maria Bonessi spoke with Morning Edition Host Nathan Sterner. Baltimore City Council President Jack Young will introduce a resolution at Monday night's city council meeting to hold a hearing on Baltimore City Public School’s Enrollment Taskforce. 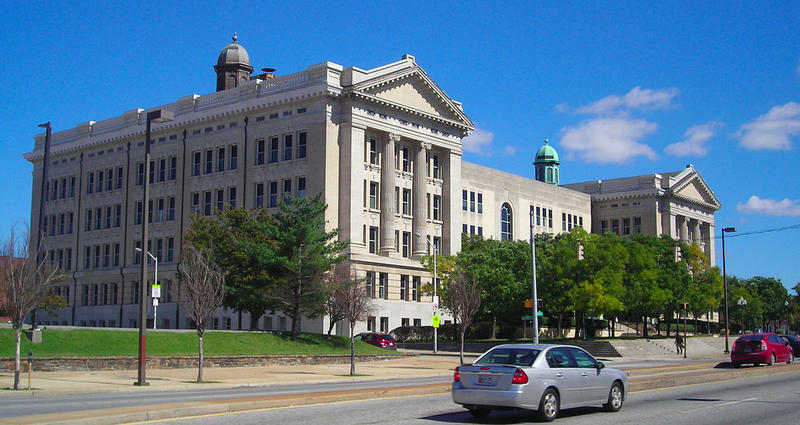 Baltimore City school officials are considering moving from their long-time headquarters on North Avenue—the building that once housed Baltimore Polytechnic Institute. But it’s unclear when, or if, that will happen. Five years ago a coalition of state and city agencies embarked on an ambitious, $1 billion plan to renovate, replace and combine at least 23 of the most run-down and under-enrolled schools in Baltimore—all by the spring of 2022. Dorothy I. 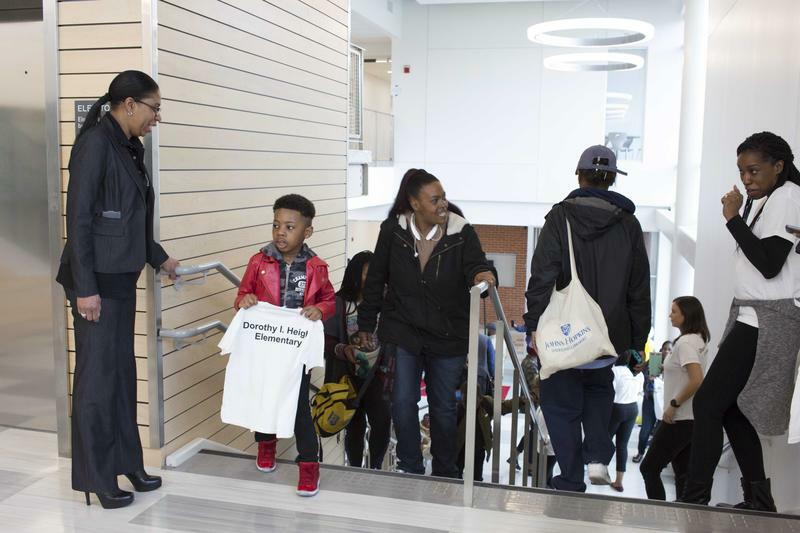 Height Elementary in Reservoir Hill was among two of those new, 21st Century Schools that opened Wednesday. 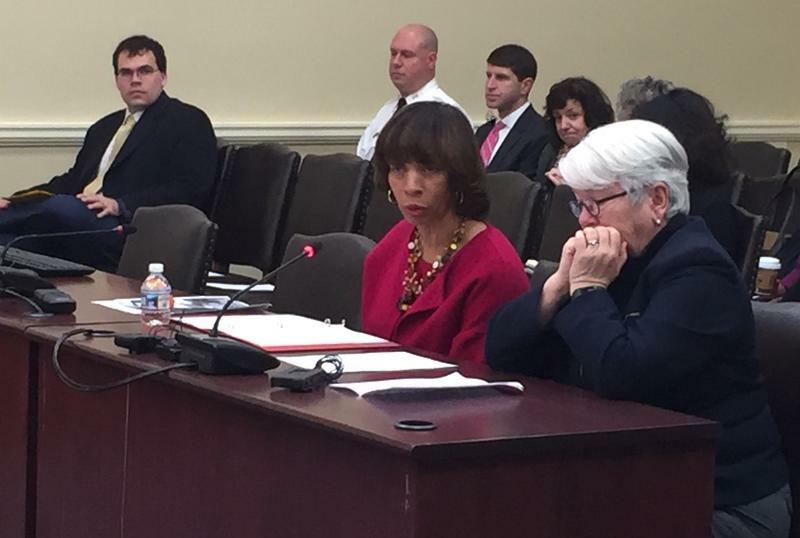 Baltimore Mayor Catherine Pugh unveiled her $2.8 billion budget for the coming fiscal year yesterday at a meeting of the Board of Estimates. The budget projects maintaining the property tax rate at $2.25 per $100 of assessed value. 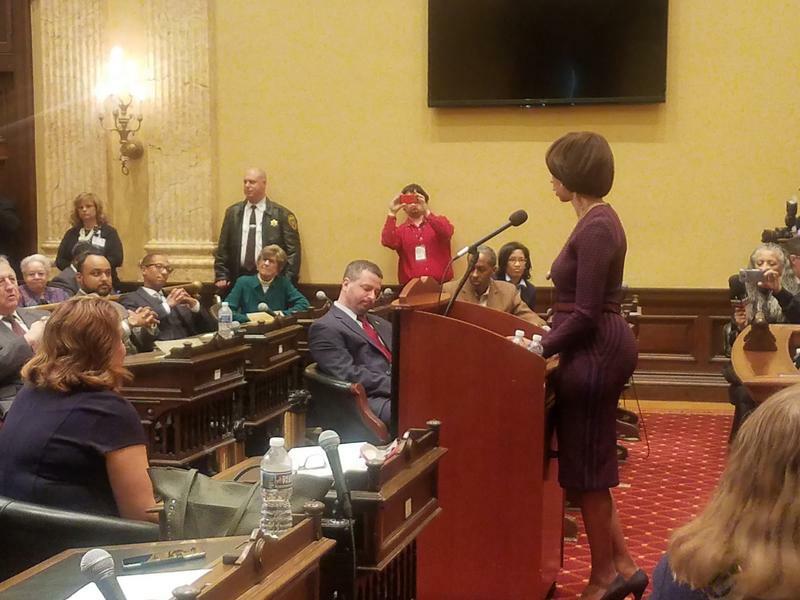 Baltimore Mayor Catherine Pugh gave her state of the city address Monday to a gathering of city leaders with a theme of “Baltimore: A City on the Rise.” WYPR’s City Hall Reporter Dominique Maria Bonessi spoke with Morning Edition Host Nathan Sterner. Governor Larry Hogan promised an emergency $2.5 million for repairs to Baltimore City Schools' troubled heating systems today. And he blamed the problems on mismanagement. Meanwhile, at least eight Baltimore City schools were closed today because of continuing problems with the heating systems and a water main break. Hundreds of teachers, parents, elected officials, and other community members filled the auditorium at the Baltimore Polytechnic Institute Thursday night to advocate for a more equitable approach to funding Maryland’s public schools. On the other side of their pleas was a state commission tasked with overhauling the current funding model. WYPR’s Rachel Baye was at the public hearing and joins Nathan Sterner to discuss it. Earlier this month, Baltimore City Schools laid off 115 people to help plug a looming budget gap. But at the same time the school system was trying to fill 200 vacancies. And that has left teachers and their representatives in layoff limbo. 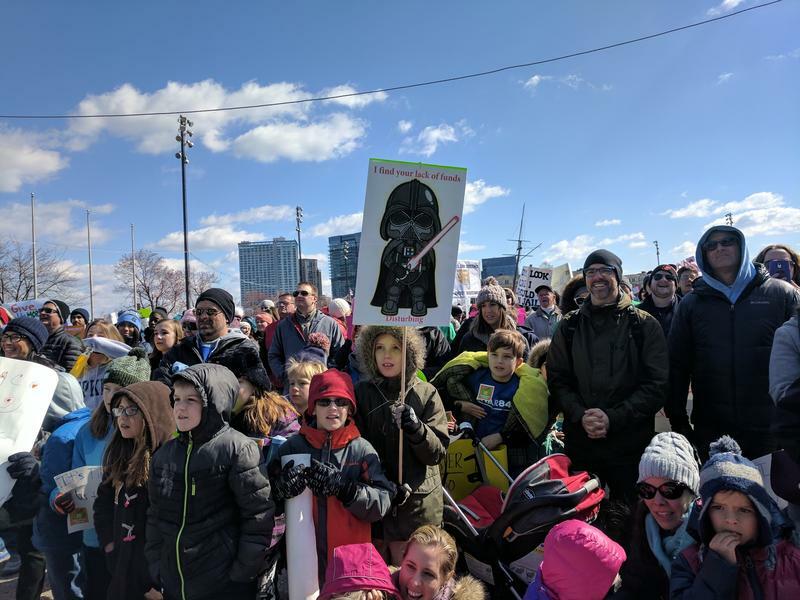 "It’s just a mystery to me why you can’t find a place for these people," fumed Marietta English, president of the Baltimore Teacher’s Union. The Baltimore Teachers Union partnered with Baltimore City Schools last week to launch a five-week campaign to enroll 1,000 new students in city schools. Using a database of targeted houses provided by the city, groups of teachers and paraprofessionals have gone door knocking to try to talk parents into sending their kids to city schools. But at least one group found that many of the houses where they were told school aged children lived were vacant; one after another, after another, with mail piled up at the threshold. .
Baltimore City schools officials failed to report a $100 million pension liability to the city government in fiscal year 2015, according to the city auditor. Auditor Robert McCarty told the Board of Estimates about the missing information Wednesday morning. "In their report they did not include their liability to the city's employee retirement system [ERS] of $100 million," McCarty said after the meeting. 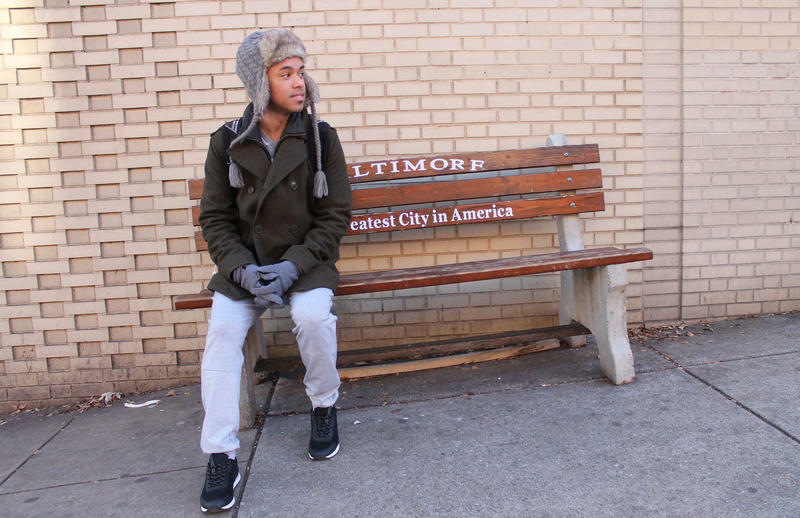 "In their opinion, it was a liability of the city of Baltimore to the ERS." Baltimore City school officials sent layoff notices to 37 teachers, 39 administrators, 26 paraprofessionals and school personnel, 11 support staff, and five district managers Thursday. It was the first round of layoffs in city schools in a decade. Marietta English, president of the Baltimore Teachers Union, denounced the layoffs, wondering why they were necessary when school leaders have said they need to fill 200 vacancies. The General Assembly passed the state’s $43-billion budget Tuesday, with a little less than two weeks to go before the legislature’s 90-day session ends. The final budget includes nearly $30 million to help Baltimore City Public Schools fill its own budget hole. 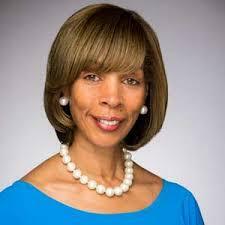 Baltimore Mayor Catherine Pugh announced Friday a joint plan with the state to help fill the city school system’s budget gap with $180 million over three years. The plan needs to be approved by the full legislature and Gov. Larry Hogan. 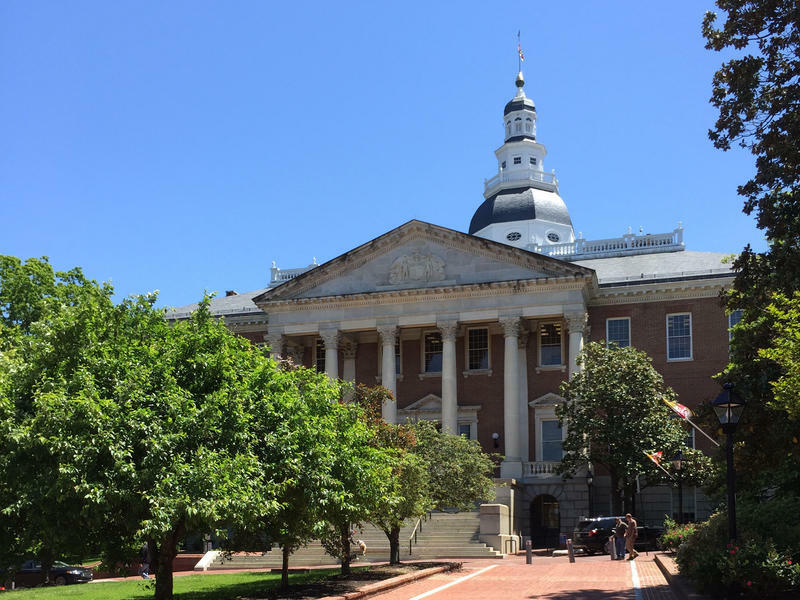 Some parents, teachers, students and administrators in Baltimore City Schools spent the week trying to convince state and local lawmakers to plug the schools’ $130 million dollar budget gap. 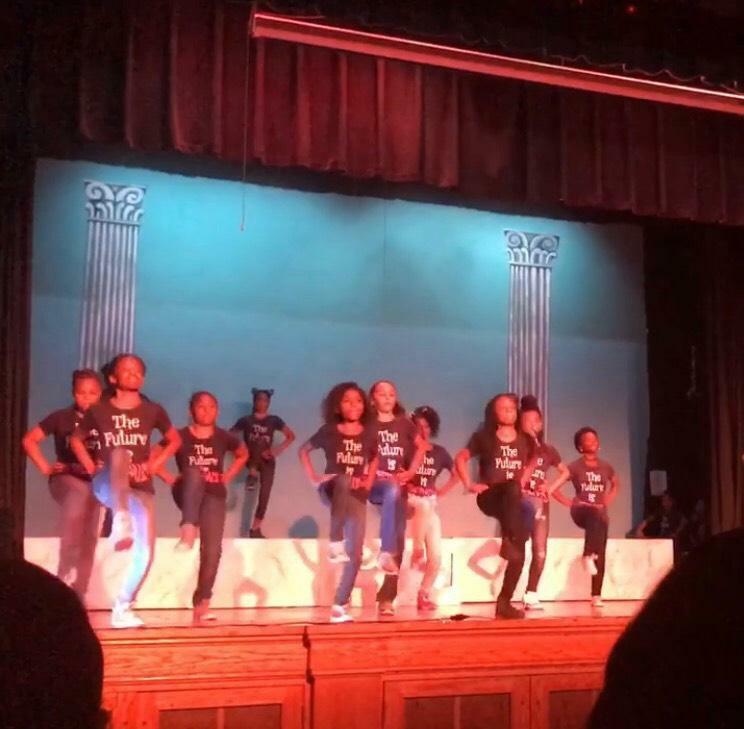 Last week Baltimore Mayor Catherine Pugh said she would update plans to shrink the city school’s $130 million budget shortfall. 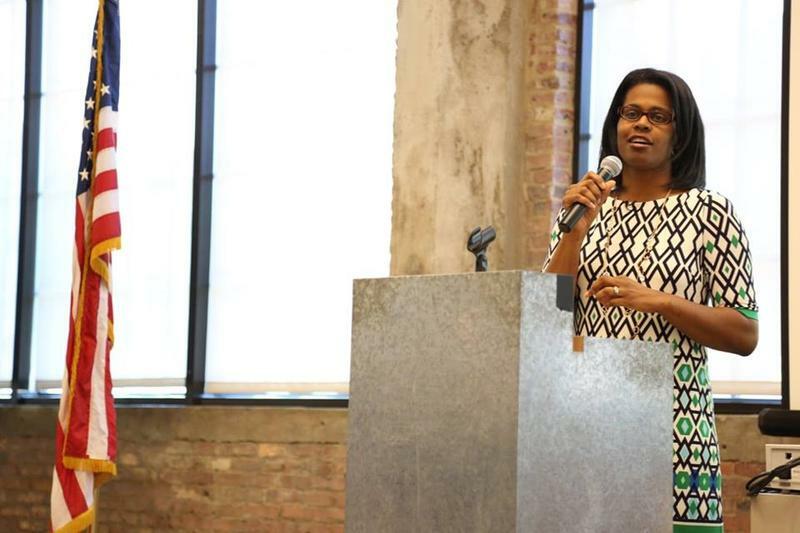 Monday, she and city officials unveiled that plan. With Baltimore city schools facing a $130 million shortfall-- roughly 10 percent of the annual budget—schools CEO Sonja Santelises has warned of painful cuts, including teacher layoffs. Some of the specifics are beginning to take shape as school principals received their budgets last week. Job Grotsky, the principal at Mount Royal Elementary in Bolton Hill says next year’s budget is significantly smaller than in the past. He’s probably going to lay off nine people, some of them teachers. 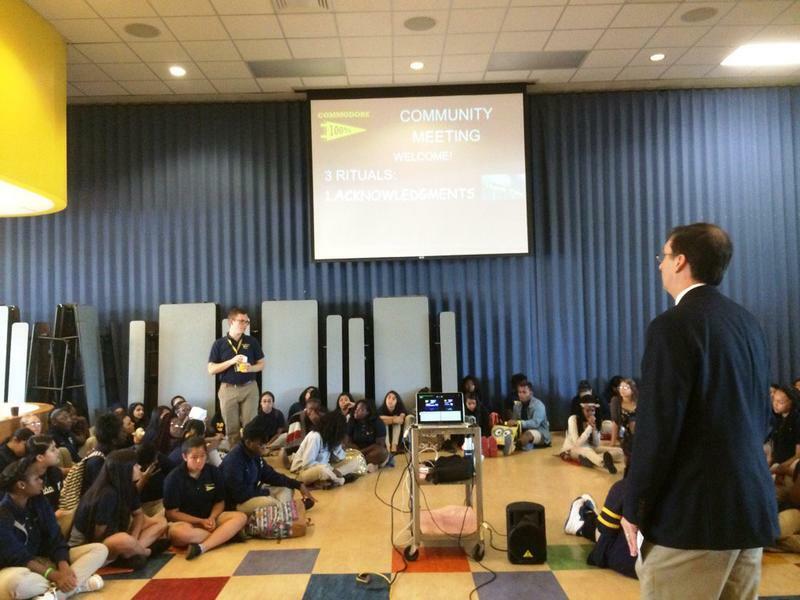 “As a result we basically have to build the school from the ground up,” he said. Deneira moderated a discussion with her co-reporters about adults’ perceptions of youth. The students had an honest and lively discussion about their experiences being stereotyped and how they feel adults could be more understanding and helpful to young people. For the fifth time in ten years, a Maryland teacher is one of four finalists for the National Teacher of the Year award. Athanasia Kyriakakos is the first Baltimore City teacher to reach those heights. 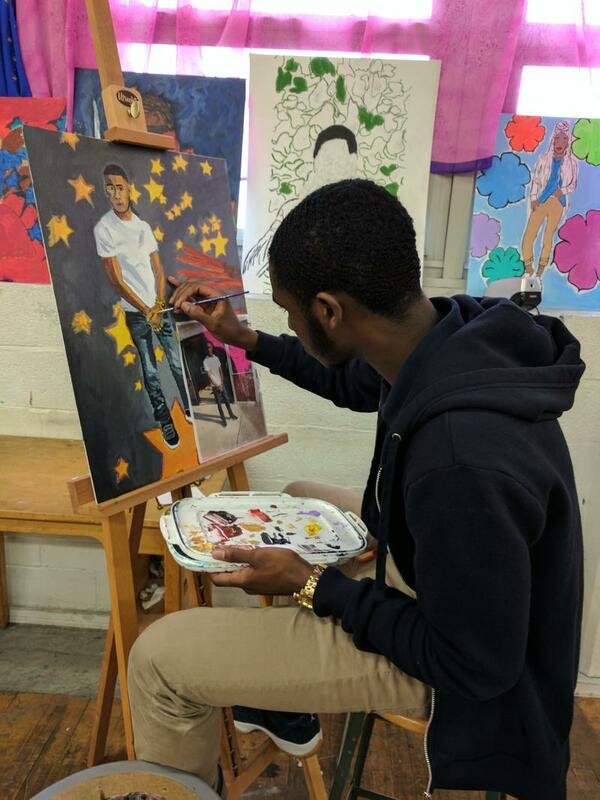 Kyriakakos, the only visual arts teacher at Mergenthaler Vocational Technical High School, or Mervo, was chosen for her dedication to her students and her commitment to teaching art as a critical thinking skill. She started at Mervo, the biggest high school in Baltimore, four years ago and found the school didn’t do much in the way of proudly showcasing its students’ work in the glass display cases that line the halls. This year marks the 50th anniversary of the Coleman Report, a landmark study led by then Johns Hopkins University sociologist James Coleman. The study found an enormous achievement gap on test scores between black and white children and was the basis for the busing programs of the 70’s to achieve racial balance in schools. 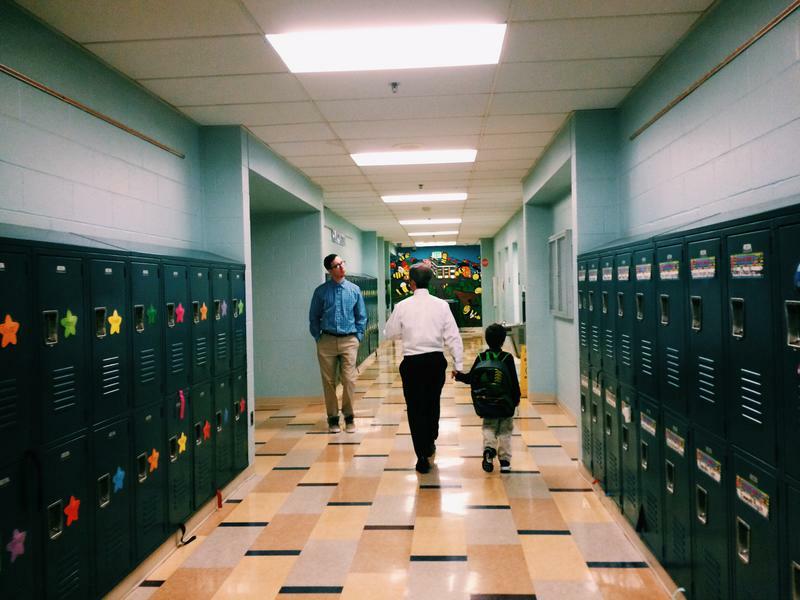 Fixing failing schools: do school improvement grants build sustainable change? 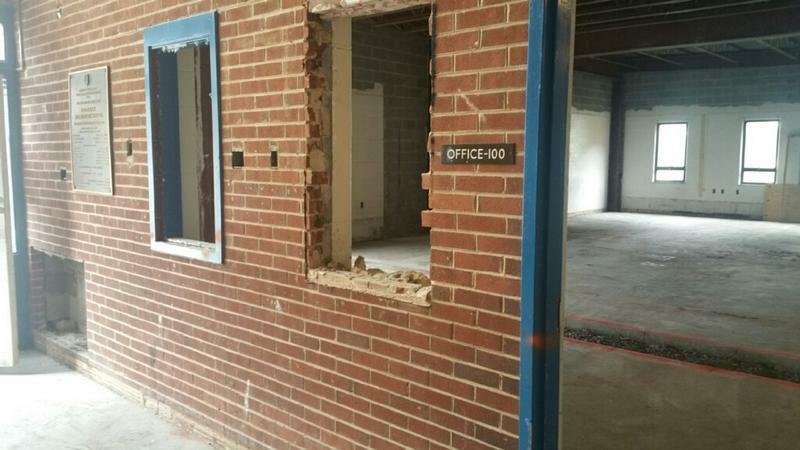 State and federal programs have poured billions of dollars into some of the nation’s worst schools since 2009 in hopes of making improvements. But once those schools show progress, the money disappears, and they risk sliding backward. Commodore John Rodgers Elementary and Middle School in East Baltimore is one of those schools. After drastically improving test scores, school climate, enrollment and absenteeism, it is no longer eligible for turn around funding. Maintenance inspections at public schools around the state tell local school authorities if there are issues affecting the health or safety of students and staff. But a state audit released Wednesday found that hundreds of these inspection reports hadn’t reached school officials more than a year after the inspections were completed. The Baltimore City school system is spending $1 billion to update and renovate nearly two dozen overcrowded and outdated schools as part of the 21st Century Schools Building Plan. But closing schools and buildings and moving students, no matter the goal, is not easy, especially for communities that have lost many of their public institutions over the years. Marvin Walker’s daughter attends Samuel F.B. Morse Elementary School in a Southwest Baltimore neighborhood of vacant homes and broken sidewalks. It’s a school that’s slated to close and its students are to move to nearby Frederick Elementary, which is being modernized to accommodate more students under the system’s 21st Century School Building Plan.